Son struck a preliminary deal to put another $1.1 billion into Ola to boost his stake to more than 40 per cent, according to people familiar with the matter. But Aggarwal tried to include terms to guarantee his own control over the startup, and the deal ultimately fell apart, said the people, who asked not to be identified because the matter is private. Instead, Aggarwal is piecing together smaller slices of funding from unaligned backers. This year alone, he picked up $300 million from Hyundai Motor Co. and about $90 million investment from Sachin Bansal, the co-founder of Flipkart Online Services Pvt. 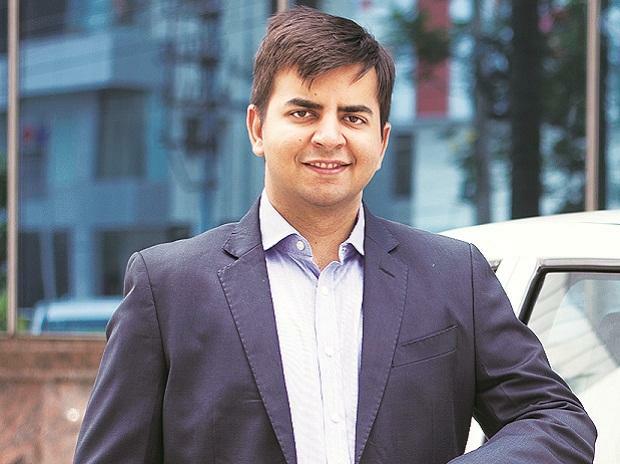 The 33-year-old Aggarwal founded Ola, a brand of ANI Technologies Pvt, in 2011 along with Ankit Bhati, his classmate from engineering school. It currently has 1.3 million drivers on its platform in over a hundred cities and since last year has expanded to Australia, New Zealand the UK It also entered the food delivery business in India, burning cash in a bid to grab market share from Uber Eats as well as local food delivery operators, Swiggy and Zomato. In the meantime, SoftBank made progress with Uber. In January 2018, the Japanese conglomerate completed its deal to spend about $9 billion to become the largest shareholder in the US ride-hailing giant. Shortly thereafter, SoftBank’s executives floated the idea of a merger between the rivals in India, according to people familiar with the matter. When Aggarwal balked, SoftBank attempted to buy out the stake of another Ola investor, Tiger Global. Merger talks with Ola are off now as Uber prepares for the IPO. The US company sold its operations in Southeast Asia to Grab last year, a move that trimmed its losses but also cut off growth potential in an important region. India is sure to be highlighted as a key example of overseas opportunity when Uber files its IPO paperwork.